Last year my picture book, A PERFECT HOME FOR A FAMILY, went out of print at the same time it was selected by CBC (Children’s Book Council) for its 2015 Gifts Galore list. I retrieved my rights and Roberta Angaramo did the same for her charming illustrations. I sent out a query to another publisher to bring the book back into print. I received an expression of interest for the story only, which would be re-illustrated by an artist they had in mind. 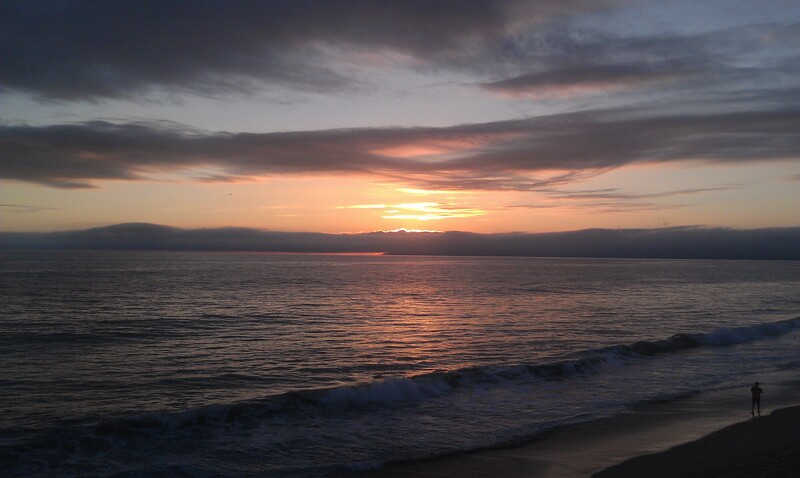 Roberta and I decided we didn’t want to split up so I passed. She then tried a publisher in South Korea, Kyowon CO., LTD. Yesterday we received a contract offer for a Korean translation of our book with a first printing of 8,000 copies. I have a few questions to resolve but am hopeful that we’ll reach an agreement and sign an amended contract soon. I’m particularly pleased because I’ve never been translated in Korean before. My books and poems have been translated by seventeen publishers into nine languages (including four times in Japanese, three times in German, and twice in Lithuanian) since THE BOY WITH A DRUM came out in Japanese in 1969, but never in Korean before. Other translations have come out in Africa, Norway, Israel, Netherlands, Italy, and France. My poetry has been published in English in India, France, and elsewhere. When I congratulated Janet and Sylvia, Janet pointed out that a book of mine is on the same list. It’s A PERFECT HOME FOR A FAMILY, published by Holiday House and beautifully illustrated by Italian artist Roberta Angaramo. Tomorrow (Saturday) I’ll be at the Springfield Barnes & Noble at 11:00 to do a storytime and sign my new picture book, A PERFECT HOME FOR A FAMILY. If you are in the neighborhood, I hope you’ll drop in to say hello. It will be even better if you bring someone to hear me read the story. 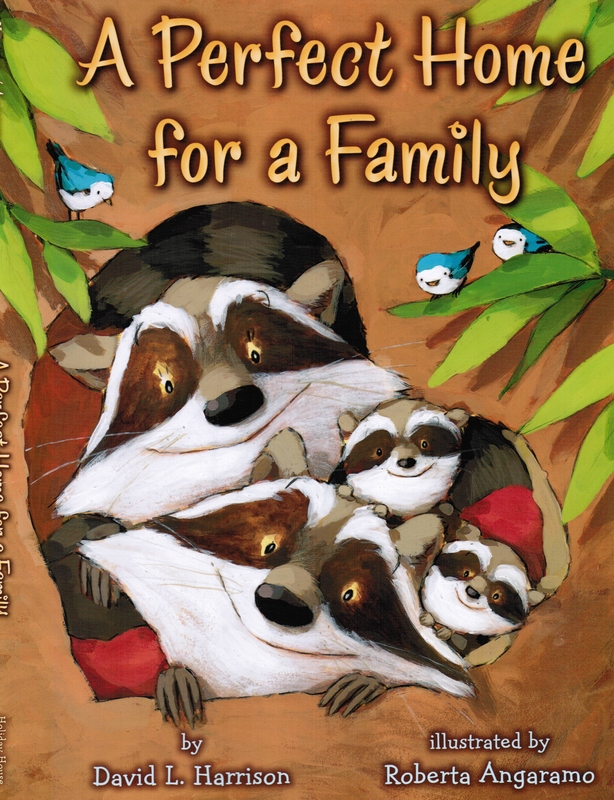 It’s about a raccoon couple searching for just the right home in which to raise their expected twins. I’d say the age range for this one is preschool through grade 3 or so. The annual International Reading Association Conference is three weeks away. Here are my new titles that will be introduced at the conference. I didn’t start all of these at the same time. They just happened to come together in a bunch. From Holiday House, a picture book: A PERFECT HOME FOR A FAMILY, beautifully illustrated by Roberta Angaramo. 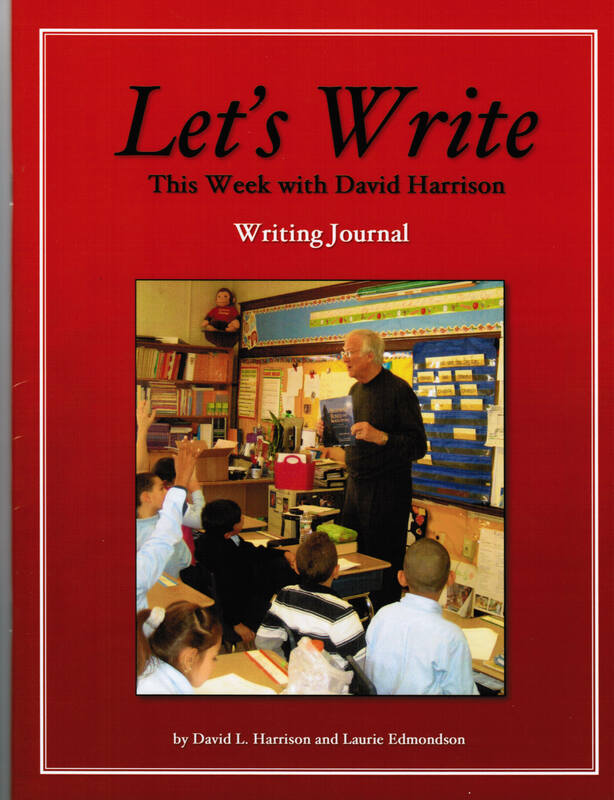 From Phoenix Learning Resources/Stourbridge: LET’S WRITE THIS WEEK WITH DAVID HARRISON. 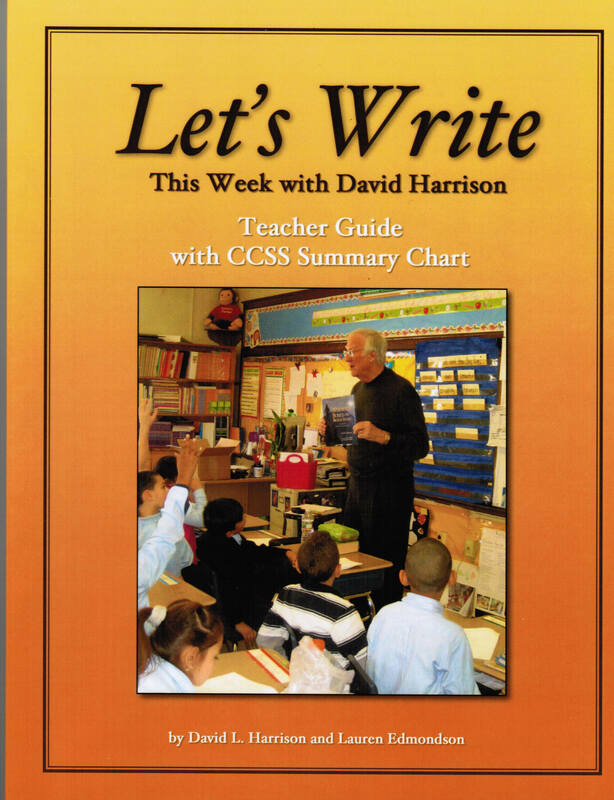 The Teacher Guide and Student Writing Journal were co-authored with Laurie Edmondson at Drury University.The kit also includes twenty 5-minute video sessions of me offering writing tips to students plus a set of three of my trade books used in the lessons. From Shell Education/Teacher Created Materials/IRA: a set of five books titled LEARNING THROUGH POETRY. This was co-authored with Mary Jo Fresch at Ohio State University. Each book includes a CD containing the poems I wrote for that subject and recorded with Mary Jo. In all there are 96 poems. This year’s conference is in San Antonio, one of my favorite cities.I hope to see some of you there.